It’s that time of year again: spring break season. Spring break is just around the corner, and if you’re a college student, you’re probably already daydreaming about sunshine, relaxation and freedom from studying… at least for a little while. Many college students choose to spend their spring break on a trip somewhere exotic with friends, soaking up the sun with a drink in their hand. If you’re a college student looking for something more satisfying to do with your time, consider an alternative spring break: volunteering your time and talents for the benefit of others. If you’re still not sure what you’re doing over spring break, check out these ideas for how you can have fun and give back. Go on an international trip. One of the most popular alternative spring break ideas is an alternative spring break trip. You still have the opportunity to go somewhere exotic with friends, only this way you’re volunteering in the surrounding communities. Whether it’s helping to build sustainable housing, teaching important skills to locals or providing medical assistance, your time and talents are fully committed to supporting those in need, all while having fun in an unfamiliar country. Some international spring break volunteering programs include Project Abroad, International Volunteer HQ and United Way. You can even check out local nonprofit organizations in your area that offer international trips in sister communities. Whatever program you choose to work with, you can be sure that your efforts help those in need around the world. Commit to a national trip. Similar to an international trip are those that stay within the U.S. National trips often offer the opportunity to visit poorer communities or those in crisis, and serve those most vulnerable among us. These trips are great in providing similar experiences to their international counterparts, but often cost less in travel expenses and can be less of a paperwork hassle. If you’re a college student who is extremely dedicated to a specific cause, consider using your spare time over spring break to build your own fundraiser for an organization close to your heart. Maybe you want to run a bake sale, put together a 5k race or hold a silent auction to raise money. Gather a group of friends and see if they want to help support their community over spring break and see just how much of an impact a small group of people can make. If you’re not interested in going on a trip or creating your own fundraising event, see what involvement opportunities are already available within your own community. 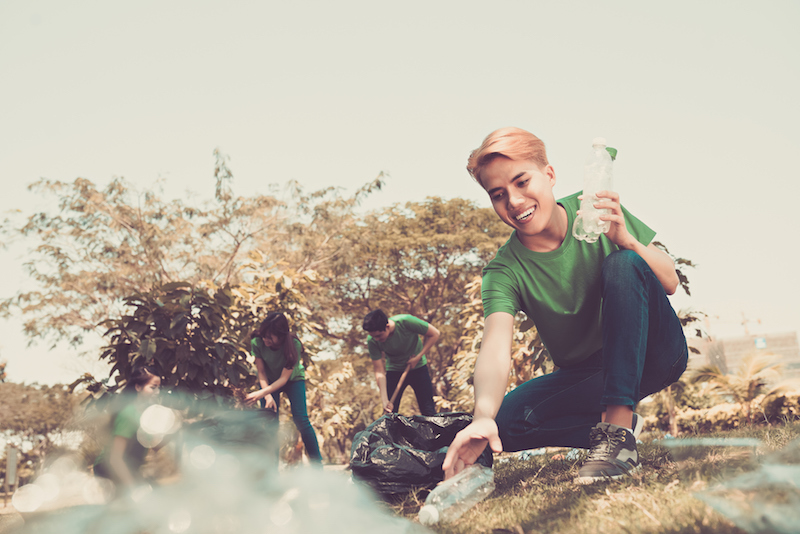 Many nonprofit organizations will have increased volunteering openings over spring break, which are great to get involved in on a flexible basis. Whether it’s serving food at a local shelter or helping teach refugees English, you can still use your spring break to give back to those around you. We get it—you’re college students. Money isn’t exactly the easiest thing to come by at this point in life. However, this spring break, consider donating what you can to help support the causes that mean the most to you. Whether that’s donating financially, donating used goods or donating nonperishable food, find what you can to give what you can. When it comes to helping the community, every little bit counts. This spring break, do more with your time by choosing an alternative spring break, and enjoy the sunshine while giving back. Whether it’s traveling abroad or staying local, your commitment to serving others helps build a better world for all of us to live in.